Last week, Pauline made these amazing triple chocolate delicies. As I was devouring their velvety texture, I couldn’t help but think of one of my favourite desserts – Mint Nanaimo Bars! I have been known to eat half of a 9″ x 9″ pan in one day. 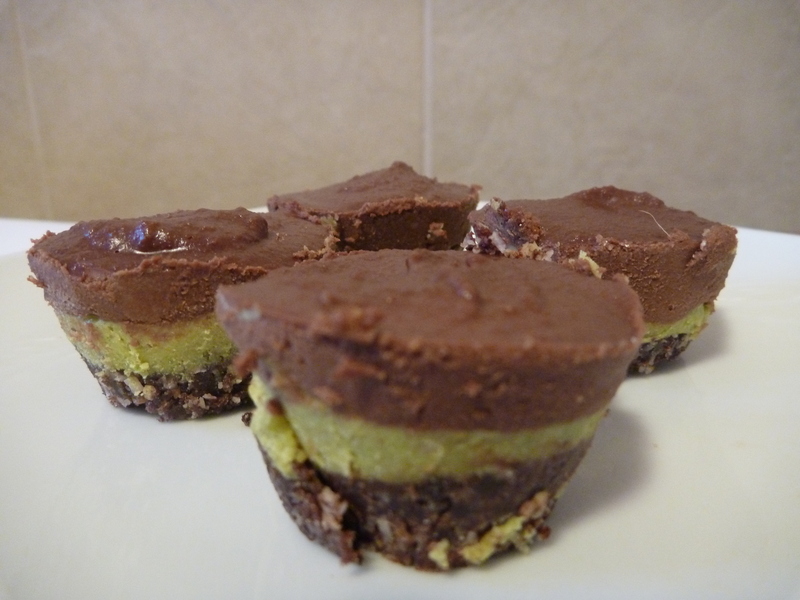 I decided it wouldn’t be too difficult to modify the first recipe into a new and improved, and perhaps healthier Mint Nanaimo Bar! Here is the original recipe from pure2raw.com. I changed things only slightly and added in my own mint layer. Are they healthier? Better ingredients, but definitely calorie-dense. In one of these mini rounds, there are close on 230 calories! They are super tasty, but I don’t find them addictive like processed sugar. I think that’s a good thing. This recipe is pretty simple. It just requires a few steps as you have to make each layer individually. You can do layers in any order, but if you want to not dirty another container, start with the bottom. 1. Throw everything into a food processor and blend until slightly crumbly. 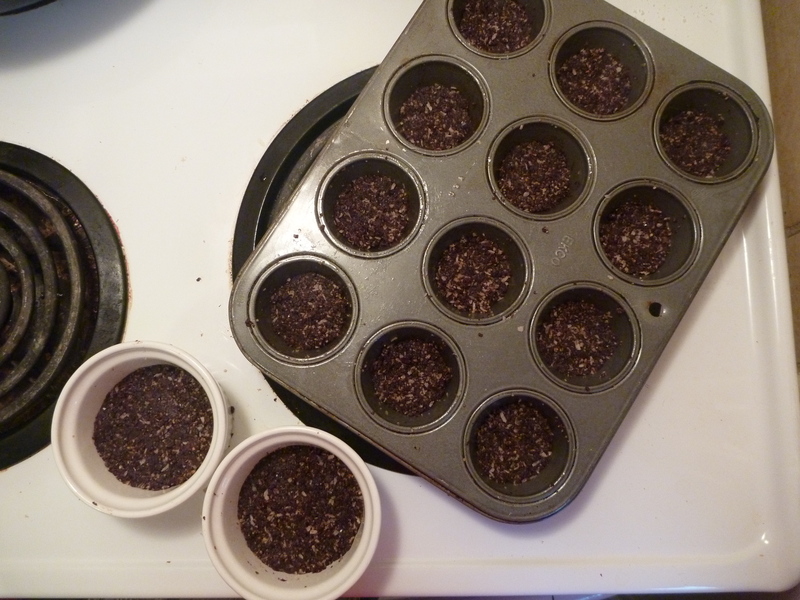 Press into a greased (I used coconut oil) mini muffin tin, or really any pan you like. Technically this would make about 16 rounds if you had two small muffin tins. 2. Repeat with the next two layers, but process until very smooth. 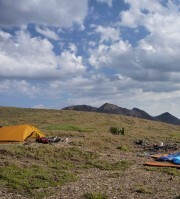 Add to the previous layer. 3. Place into the freezer for a few hours to set! Serve cold. You may have noticed that I wrote Fair Trade cocoa. I normally hate it when recipes I find online include the brand name of a particular product, especially when you know it won’t change the taste. However, I will shamelessly promote Fair Trade (which isn’t actually a brand, but a certification process) products because I really believe that Fair Trade is making a difference to peoples’ lives around the world. I hate the thought that my indulgences of coffee, bananas and chocolate (three of the worst industries in terms of human rights) are exploiting people, so I try whenever I can to pay the extra money to ensure farmers are being paid fair prices. If you want more information, check out FairTrade Canada.